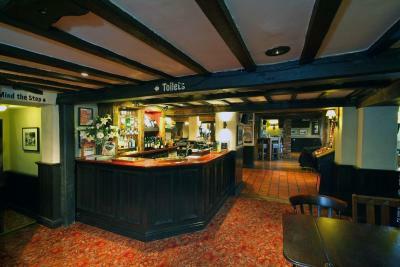 Lock in a great price for Wheatsheaf Basingstoke by Greene King Inns – rated 8.2 by recent guests! Good breakfast excellent service. Water for tea a tad tepid could have been warmer, Good selection. Like to get going in the morning so 7am breakfast ideal and I can be done in 20 minuets and with the efficient service this is made easy. Plenty to eat with the full English breakfast and the food was nice and hot. The room needed some tlc - curtains hanging off the rail, sink plug jammed, generally a bit shabby. However the staff were lovely as usual, very helpful and cheerful. Beds comfortable, food very good. I’ll use the hotel again simply because I always have a nice time! Lots of hot water and a decent shower. Large towels. Nice quiet inn with good restaurant for dinner and breakfast. Location is good - close to an M3 junction and with easy access to the A303. Two parts of the building; the very old original building, and a modern block to the side. Looked to me like it used to be a Premier Inn. All the staff were so lovely, room was very spacious and clean. Bed was comfortable. Dinner in pub next door was lovely. Wheatsheaf Basingstoke by Greene King Inns This rating is a reflection of how the property compares to the industry standard when it comes to price, facilities and services available. It's based on a self-evaluation by the property. Use this rating to help choose your stay! Wheatsheaf Basingstoke by Good Night Inns is set just off the A303, about 6.8 mi southwest of Basingstoke, with good links to the M3. 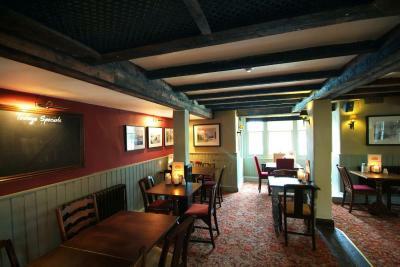 The hotel features comfy beds, free parking and an on-site Chef and Brewer restaurant and pub. Some rooms can take 2 adults and up to 2 children (under 16 years). Breakfast has the expected cooked items, including vegetarian sausages, as well as a wide continental selection. Basingstoke Golf Course is a 10-minute drive away. Stratfield Saye and Watercress Line can be reached in around 20 minutes by car, and Basingstoke Rail Station is 6.2 mi away. This property also has one of the top-rated locations in North Waltham! Guests are happier about it compared to other properties in the area. This property is also rated for the best value in North Waltham! Guests are getting more for their money when compared to other properties in this city. When would you like to stay at Wheatsheaf Basingstoke by Greene King Inns? 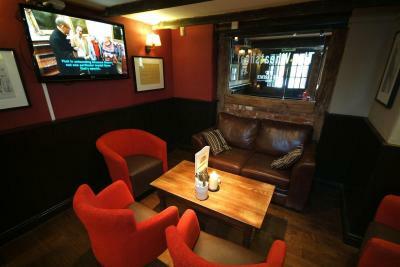 House Rules Wheatsheaf Basingstoke by Greene King Inns takes special requests – add in the next step! Wheatsheaf Basingstoke by Greene King Inns accepts these cards and reserves the right to temporarily hold an amount prior to arrival. the reception area could do with a face lift, but otherwise ok. The room I was in is part of the original building which is very old. While a nice room it had no central heating so was a bit chilly. A heater was provided but slow to warm the room and bathroom. Ask for a room in the modern part. Nothing really. Bathroom a bit dated, but very clean! Staff were friendly and helpful. Food was good. Floorboards a bit creaky in the hall and the stairs, minor issue! Some rooms can be noisy and so if you are a light sleeper be specific when you book. Staff are excellent. Had an issue with the road noise on the first night and although they were fully booked they moved me the next morning. Very helpful. The property is a little bit tired now, but comfortable and the restaurant is excellent. Great location and handy for onward travel on the M3. Very happy and will return. Information regarding booking dinner there. No lift access only stairs. We were lucky to get a table that evening.. and we were hotel guests! Despite asking when we checked in if needed to book, but were told we could just turn up. Food was nice. Location was great for our visit. Breakfast was good too.